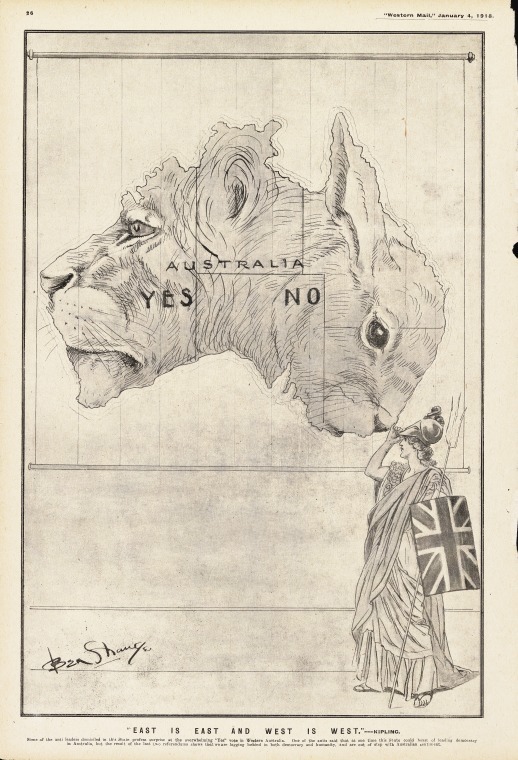 East is East and West is West cartoon commenting on the result of the conscription referendum held 20 December 1917. 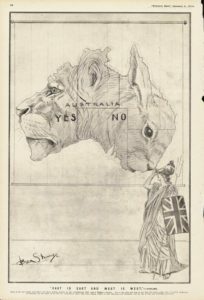 Image courtesy State Library of Western Australia. This entry was posted on December 20th, 2017.